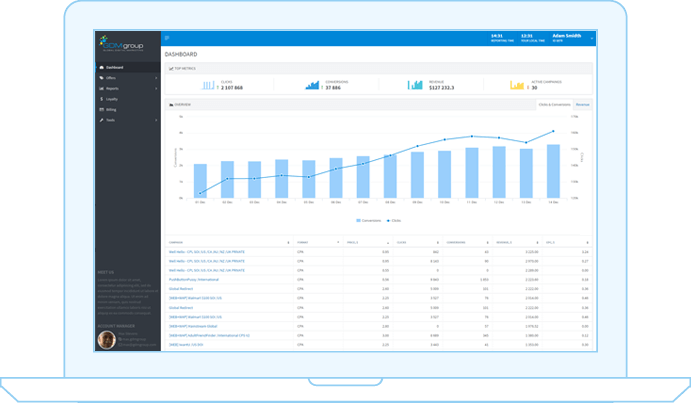 We’ve built a high-level tracking technology to let you manage all your ad campaigns in one place. It’s a universal solution for advertisers, publishers, and media buy teams, who deal with performance, mobile and video marketing. GDM core provides real-time statistics and in-depth analytics, which can be easily accessed through the intuitive client interface. The dashboard is stuffed with many efficient tools, such as SDK, native API, JS scripts, smart link, and more, which enable optimization, integration, and full traffic monetization.